“Two giant collectors battling it out,” remarks Aurel Bacs during a tense moment at the Geneva Watch Auction Four this past weekend. His gavel finally came down at the CHF 9.6 million mark (CHF 11 million after the buyer’s premium) on the now record-breaking stainless steel Patek Philippe Ref. 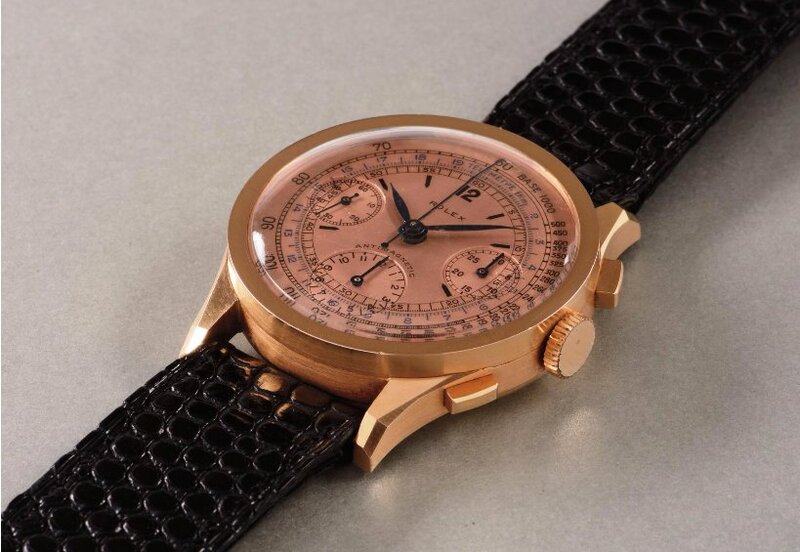 1518-the most paid, ever, for a wristwatch at auction. Since this particular stainless steel ref. 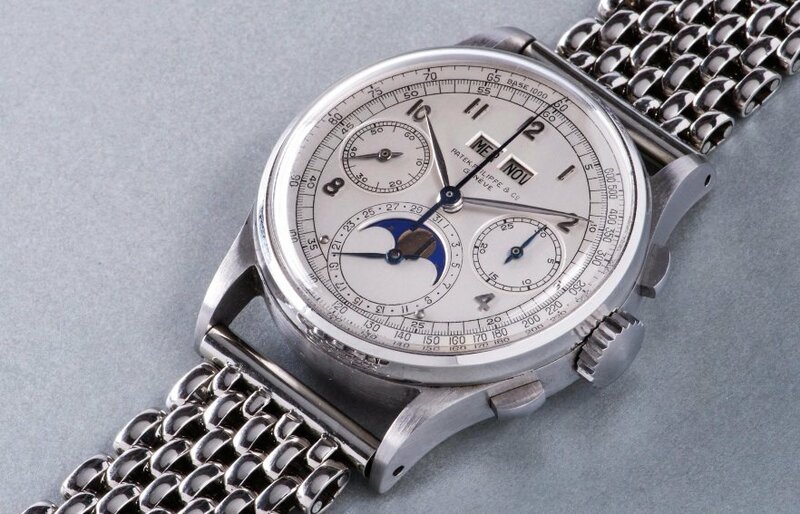 1518 is one of only four known examples, it comes as no surprise that collectors were trying to outbid each other for a chance to add the coveted Patek to their collection. However, its sale price blew its initial high estimate of CHF 3 million right out of the water! While the Patek Philippe ref. 1518 was undoubtedly the star of the show, there were some incredible Rolex highlights as well over the two-day auction event. Let’s take a look at the top performing Rolex watches at the Phillips auction. As expected, the two top performing Rolex timepieces of the event were of the Daytona Paul Newman variety, emphasizing that these are still the most coveted vintage Rolex sports models. This particular ref. 6263 (stamped 6240 on the caseback) from around 1970 features an off-white Panda dial and the Tiffany & Co. signature. 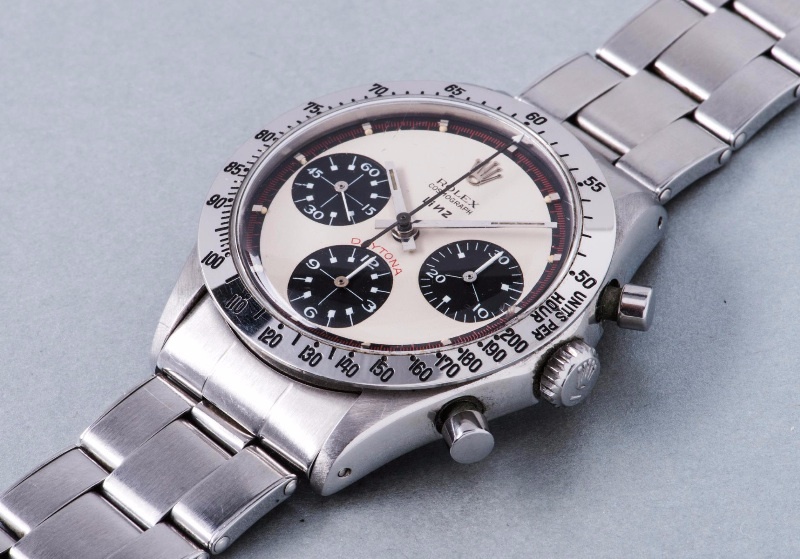 Not only is this vintage Daytona in fantastic condition, but it’s estimated that it’s the only correct ref. 6263 Tiffany Paul Newman Panda dial known to exist. 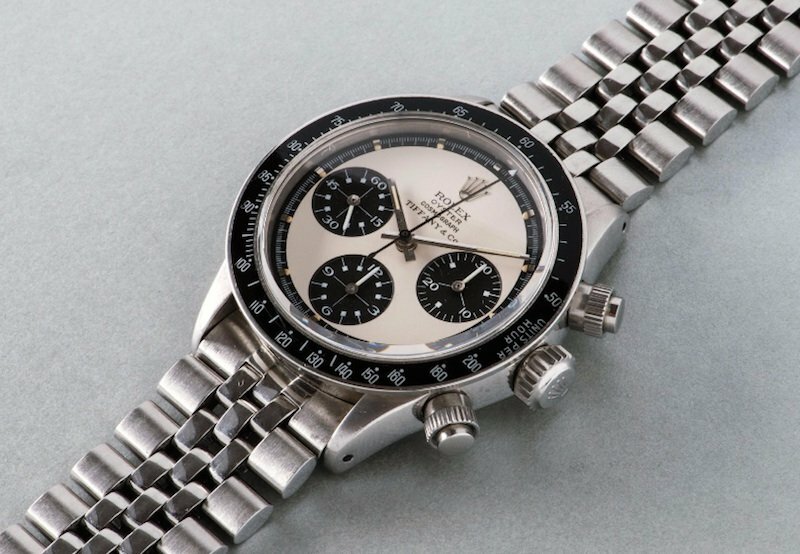 Tied for first place as the highest-priced Rolex at the Phillips Geneva auction is yet another Rolex Daytona Paul Newman. But, this time it’s a ref. 6239 from 1968 sporting an off-white dial with black registers and red outer seconds scale. Furthermore, it’s signed by Linz—from the Texas-based retailer, Linz Brothers. This particular example of the ref. 6239 “Linz Paul Newman” can be found in Pucci Papaleo’s Ultimate Rolex Daytona tome. Next up on Phillips’ top performing Rolexes at the Geneva auction was the 18k yellow gold ref. 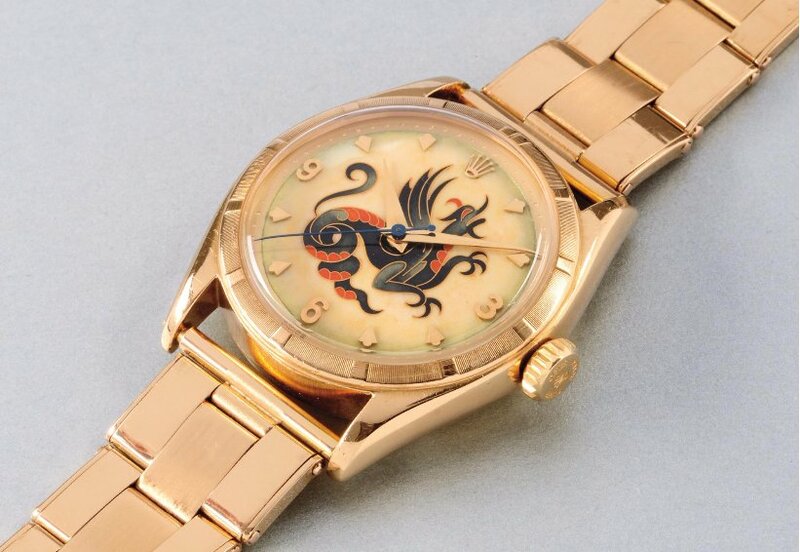 6085 from 1952 with a cloisonné enamel dial depicting a dragon. Produced by the famed Stern Frères, it’s said that the dragon dial was only ever made for five different Rolex references. Therefore, this is a unique piece in that it’s the only ref. 6085 to house the superb “Dragon Dial”. The new owner of the 1941 Rolex Pre-Oyster Chronograph ref. 3330 paid well over half a million dollars to have this beauty in his collection. Crafted in 18k pink gold, the ref. 3330 features a 37mm case—an especially large size during its era. A testament to the ref. 3330’s importance, this reference was included in John Goldberger’s 100 Superlative Rolex Watches. The Submariner ref. 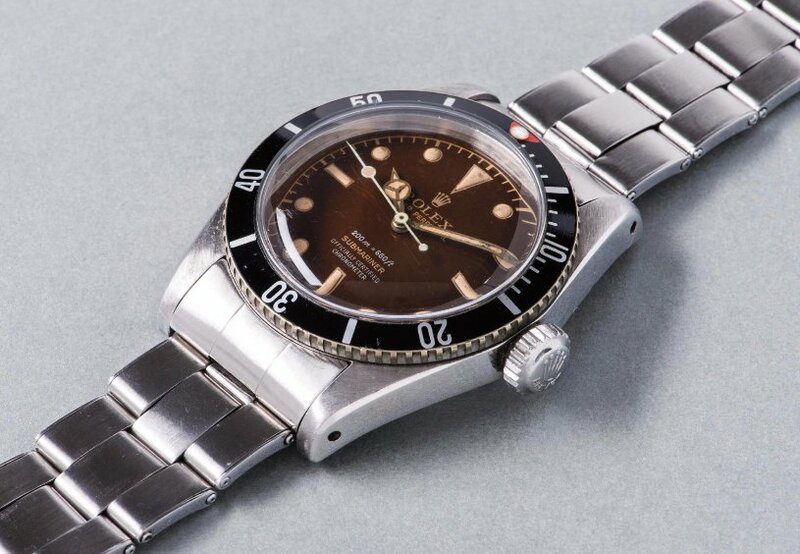 6538 “Big Crown” from 1959 is always a popular Rolex model when up for auction. This particular example, however, is especially noteworthy not only for its four lines of text, but also for its tropical dial which has aged into a beautiful chocolate color. Also, the condition of this ref. 6538 is exceptionally admirable for a vintage Submariner. The ref. 6538 “Big Crown” is also referred to as the “James Bond” Submariner for its starring role in the film Dr. No as Sean Connery’s 007’s watch of choice.